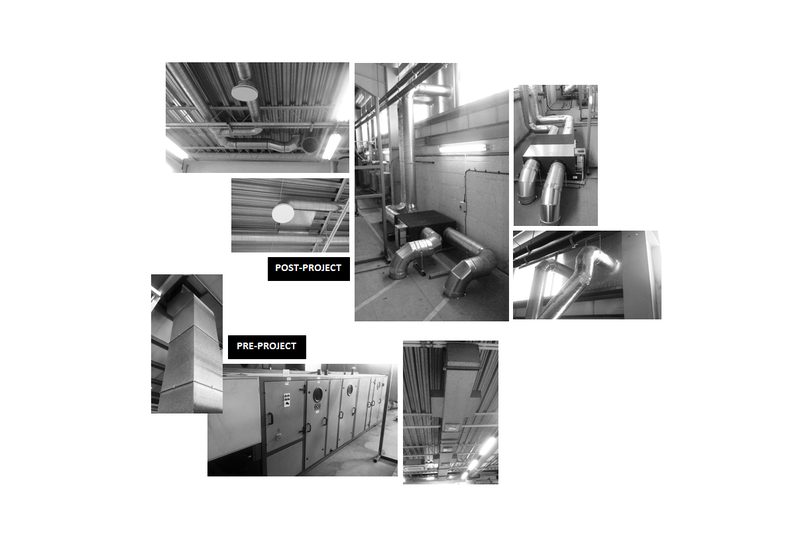 We recently carried out the replacement of ventilation plant at the above facility.The works included strip-out of existing AHU’s and associated ductwork, a proportion of which was at high level. Because the AHU’s sat within a mezzanine floor and intake/ extract was via the roof, their removal left openings that had to be repaired – we managed this element as part of the project.To provide fresh air supply and extract, we installed heat recovery VAM units located on the mezzanine floor feeding the areas below via ductwork descending through the floor.The works were carried out in a manufacturing environment that had to maintain production throughout the project. We were therefore required to both work around and ensure control measures were in place, to reduce the risk to the on-site activities which included presence of personnel and use of overhead cranes.